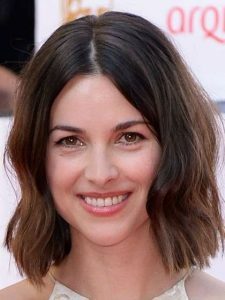 Amelia Warner is a British actress, singer, songwriter and composer. She has appeared in the films Mansfield Park, Quills, Love’s Brother, Winter Passing, Stoned, Alpha Male, Gone, and 2008’s The Echo. She released her debut album, ‘Renditions’ in December 2011 under Island Records. Born Amelia Catherine Bennett on June 4, 1982 in Merseyside, England, United Kingdom, she is the only child of English actress Annette Ekblom and Welsh actor Alun Lewis. She was educated at Royal Masonic School for Girls, and College of Fine Arts. She was scouted by an agent while performing with her friends in a play at Covent Garden. She made her film debut in 1999 with romantic comedy film Mansfield Park. She started her music career in July 2009. She married actor Jamie Dornan in 2013; they have three daughters. She was previously in a relationship with Colin Farrell in 2001 and reports surfaced that they married. *She was born on June 4, 1982 in Merseyside, England, United Kingdom. *Her parents split when she was very small, and she was raised by her mother. *She moved to Ladbroke Grove with her mother when she was six years old. *She is known by the former stage name Slow Moving Millie. *She has one tattoo, a small star on the lower part of her left hand.